There are currently 114,952 users on this website. Hey there , I'm new to coin collecting but I was going through my pocket change the other day and came across this 1983 D penny. At first glance it just looked like it had severe damage, but upon further inspection I noticed almost a type of build up of metal in a few places, as if something went wrong during casting. Any and all information about this would be extremely helpful, as I'm not sure what I'm seeing here. to CCF. 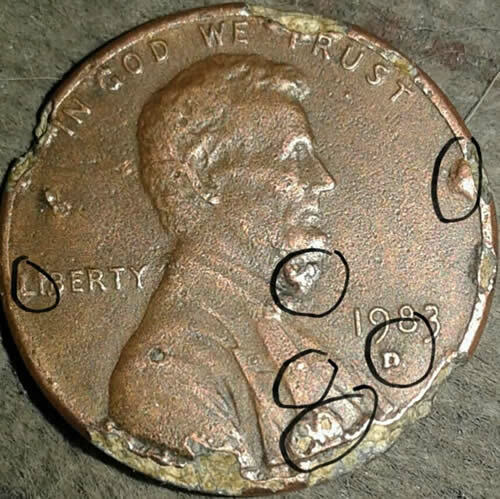 That is call zinc rot,not an error. Yep. Agree as well. A combination of PSD and the subsequent zinc rot that follows. 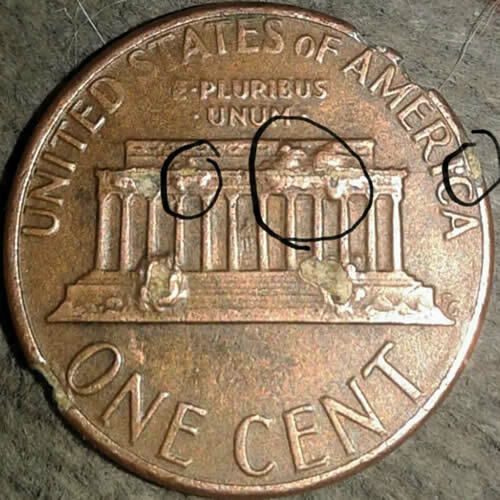 Agreed, Zinc Rot, and unfortunately the fate of most modern Lincoln Zinc cents. No errors. No varieties. Just a damaged coin. It wasn't struck like that at the mint.